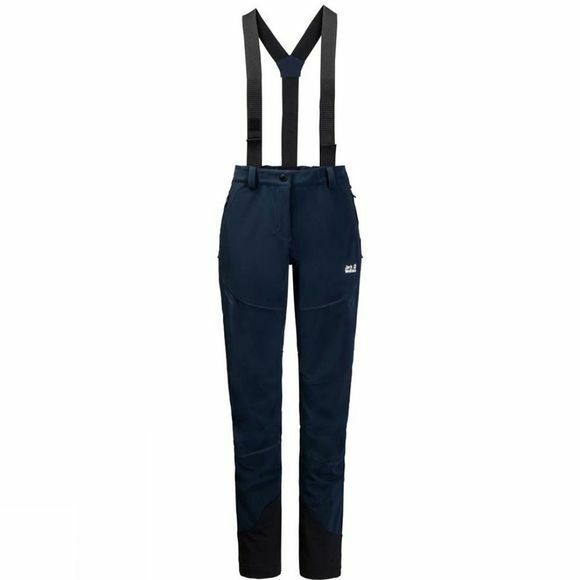 The Womens Gravity Tour Pants from Jack Wolfskin are custom designed for alpine ski touring. If you're looking for a pair of ski touring trousers that give you full freedom of movement, advanced wind protection and superb climate comfort, these Softshell trousers are a great choice.The front consists of 100% windproof Stormlock fabric. So you're always protected from the cold headwind. The back of the trousers is tailored from very breathable and stretchy Flex Shield, with Nanuk Dynamic inserts on the back of the knees.This body-mapped combination of fabrics provides the wind protection, mobility and climate comfort you need exactly where you need them. And if you need a bit more ventilation, simply open up the side zips.